What would you pay to never have to hear that lovely lady downstairs banging on the ceiling with a broom again? And how do you think she’d value never hearing work boots stomping around, or the sound of the TV through the ceiling? Flooring underlayments are just what the doctor ordered! Soundproof Cow floor underlayments are easy to install and can be placed in cars or boats, and under any tile, carpet, laminate, hardwood and stone flooring. Aside from being a great way to soundproof a floor, underlayments can also be used to improve in-room (or in-car) sound quality, make cold floors warmer and protect against mold, mildew and vapor transmission. For soundproofing apartment buildings, multi-level homes, hotels, apartment buildings, condos and anywhere else that has people roaming above and below, flooring underlayment blocks the transmission of structural and airborne sounds. If you’ve ever wondered what it would be like to not have to listen to irritating (and sometimes just plain weird) noises coming through your ceiling, or wish you could dance to techno music at 3am without bothering the people below you, floor vibration reduction can help. 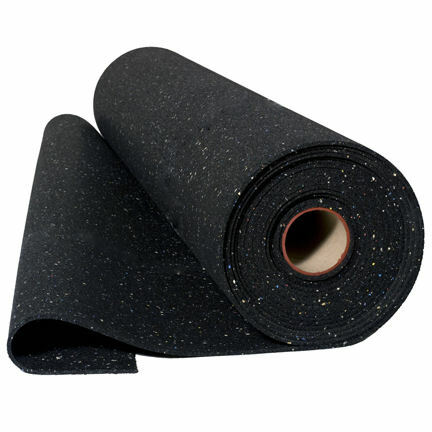 Soundproof Cow offers QT Underlayment, a sound control product made from recycled rubber that’s been thoroughly tested in several hundred field and laboratory tests. Designed for use under most floor types (including floating, glued and grouted), QT Underlayment yields superior sound insulation even under floors in wood-framed buildings. In fact, this brand of sound reducing flooring underlayment works so well you’ll find it in hotels, high-rises and million-dollar organizational office buildings all over the world. While hundreds of sound reducing techniques are available, QT Underlayment outperforms other soundproofing materials by offering a remarkable IIC rating. According to ASTM standards E492-90 and E989-89, QT Underlayment achieves sound reduction ratings (up to 25) higher than fiberglass, polyethylene, nylon matrix and cork. In addition, this flooring underlayment has a low (less than ½ inch) system height that reduces the need for suspended ceilings to reach required Impact Insulation Class ratings. A FloorScore-certified product, QT Underlayment qualifies for safe use in office buildings and schools. Established by the RFCI (Resilient Floor Covering Institute), the FloorScore Program works in association with Scientific Certification Systems, a company that analyzes and certifies flooring insulation materials. The SCS confirms that flooring materials comply with indoor air quality emission regulations and evaluates VOC levels against health specifications. In addition to providing anti-fracture crack bridging properties, QT flooring underlayment products earn points in two out of six LEED categories. Most importantly, it effectively blocks unwanted noise and may prevent even noisier confrontations between people living or working on top of each other. That’s always a great thing, isn’t it? Even in the wee hours of the morning, everybody can do their own thing without interrupting the occupants around them. That’s the beauty of sound absorbing floors! Is Flooring Underlayment Easy to Install? 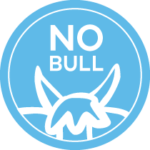 Installations vary, but Soundproof Cow provides a free installation guide for implementing sound absorbing floors in places where minor alterations may be needed. 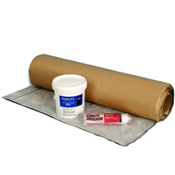 Most Installations can be installed without messy adhesives or special tools. You can always throw your questions at us by calling 1-866-949-9269 whenever you need answers you can’t find in the guide. We like to pride ourselves on soundproofing industry knowledge. Why not get us on the phone and find out just how helpful we can be?